North Point Press, 9780374251932, 288pp. 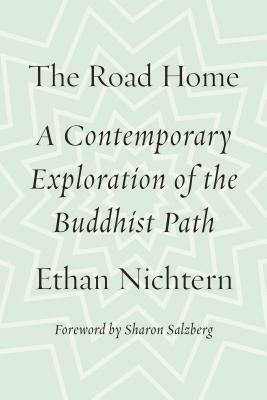 In The Road Home, Ethan Nichtern, a senior teacher in the Shambhala Buddhist tradition, investigates the journey each of us takes to find where we belong. Drawing from contemporary research on meditation and mindfulness and his experience as a Buddhist teacher and practitioner, Nichtern describes in fresh and deeply resonant terms the basic existential experience that gives rise to spiritual seeking—and also to its potentially dangerous counterpart, spiritual materialism. He reveals how our individual quests for self-awareness ripple forward into relationships, communities, and society at large. And he explains exactly how, by turning our awareness to what's happening around us and inside us, we become able to enhance our sense of connection with others and, at the same time, change for the better our individual and collective patterns of greed, apathy, and inattention. Ethan Nichtern is a senior teacher in the Shambhala Buddhist tradition and the author of One City: A Declaration of Interdependence. He is also the founder of the Interdependence Project, a nonprofit organization dedicated to secular Buddhist study as it applies to transformational activism, mindful arts and media projects, and Western psychology. Nichtern has taught meditation and Buddhist studies classes and retreats across the United States since 2002. He is based in New York City.